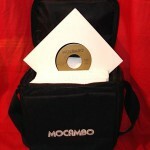 Mocambo’s got a brand new bag! Our first product apart from vinyl is very much dedicated to the preservation of our favourite record format – the Funk 45. Usually, 45 cases or bags are either too big or not strong enough – here is the solution. 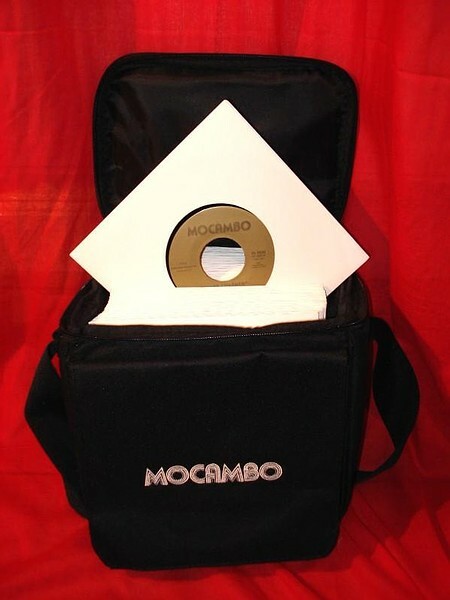 Made from very high quality material, the beautiful Mocambo (TM) 7″ Record Bag carries around 70 fortyfives, or alternatively a sixpack of beer. It features the infamous label logo embroided on the front, and as ever: no cheap advertising for websites or unnecessary comments. If you really want to have your valued records safe, the Mocambo bag is for you!